We are Canada's largest online discus retailer and offer both world class imported discus as well as top notch local raised discus that are bred on site. Canada wide shipping is available with live delivery guaranteed on all shipments! We also carry a select line of specialty aquarium supplies and feeds that will keep your fish healthy and happy. This includes what many consider to be the best discus foods available, Australian Freeze Dried Black Worms. 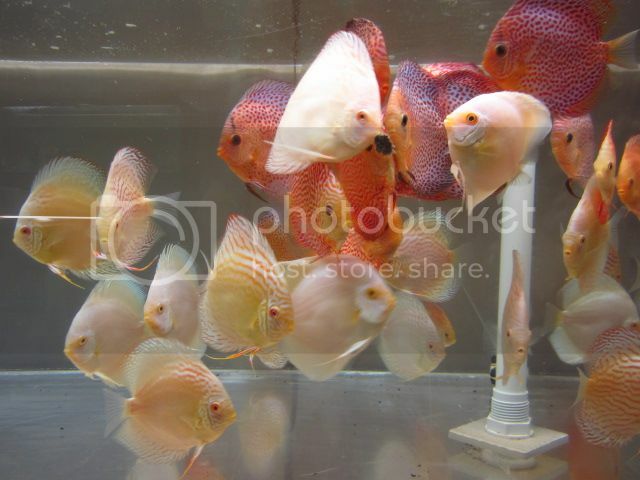 If you are looking to buy discus in Canada you have come to the right place. January 22nd, 2019: Mega Discus Shipment Has Arrived! November 4th, 2018: Australian Black Worms Are Back in Stock! October 22nd, 2018: Got Koi? CAF Is Going To Japan! August 2nd, 2018: Canadian Aqua Farm Is Moving! All Imported Discus On Sale!